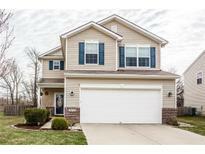 Find Whitestown, IN Homes for sale. View Photos, Maps and MLS Data Now! Washer and dryer stay. Shed stays. MLS#21632970. Matlock Realty Group. Walker Farms - This home won't last long with this great price! MLS#21633299. Keller Williams Indy Metro NE. 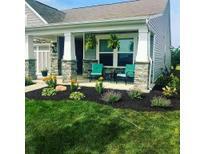 Walker Farms - Covered front porch, craftsman exterior, granite countertops, trey ceilings in extended master suite, gas log fireplace, and stainless steel appliances are included. Come see for yourself! MLS#21633527. Simplicity Realty. Pictures may be of similar home. MLS#21633296. CENTURY 21 Scheetz. Walker Farms - Gas fireplace in family room. Large loft upstairs. MLS#21633240. RE/MAX Ability Plus. Pictures may be of similar home. MLS#21633316. CENTURY 21 Scheetz. Anson - Hardwood floors on main, carpet replaced, C-Tile in bar area, laundry room up, home is pet free, light & bright - park area just out of the front door, you'Lower Level LOVE IT. MLS#21632060. F.C. Tucker Company. 3 car garage with service door & keyless entry. MLS#21632586. CENTURY 21 Scheetz. Fully fenced backyard features a concrete patio and peaceful views to total privacy! MLS#21631138. F.C. Tucker Company. Don't miss out on seeing this beautiful home. MLS#21631914. CENTURY 21 Scheetz. Prime location in "booming" Whitestown with easy access to I-65, Restaurants and shops. MLS#21631695. Keller Williams Indpls Metro N.
Walker Farms - Large Entry with New Craftsman Style Door, Split Bedroom Floor plan for privacy, Expansive Great room with Fireplace, Built-In Bookshelves, Tall Ceilings & Arched Doorways, Updated Baths with Hardwood Style Ceramic Tile Floors, Breakfast/Dining room, Laundry room and Oversized 2+ Car Garage. Move-in ready! MLS#21628913. RE/MAX Legends Group. Walker Farms - This BEAUTIFUL home is a must see, but it won’t last long! MLS#21629708. HomeSlice Realty Group. Huge patio off of the bay window in the kitchen. MLS#21629889. RE/MAX Ability Plus. with walk-in; 3- car finished garage; almost 1/3 acre lot w/privacy-fenced back yard; fabulous n'hood with pool & more! 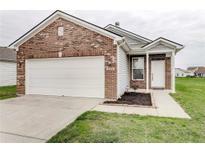 MLS#21629728. F.C. Tucker Company. This is the perfect home for entertaining guests with the large-open floor plan that flows from the kitchen to dining room area to living room. MLS#21629697. T&H Realty Services, Inc.. Hurry - This One Is A Show Stopper! MLS#21629153. CENTURY 21 Rasmussen Company. Close to shopping and dining and I65. MLS#21628794. RE/MAX Legends Group. This one won't last long! See you soon! MLS#21626587. F.C. Tucker Company. Walker Farms - Walk to nearby parks and trails or enjoy the pool & playground within the neighborhood. MLS#21629152. CENTURY 21 Scheetz. Walker Farms - We are in Indiana but don't let tornadoes scare you, this home includes a storm shelter built into the garage floor for your safety. MLS#21628087. eXp Realty, LLC. 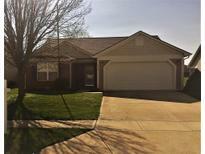 Walker Farms - Great location close to Shopping, Restaurants & I-65! Washer & dryer stays! MLS#21627957. Berkshire Hathaway Home. Walker Farms - Fenced year yard backs up to a massive open field! Don’t miss this gem! ! MLS#21627524. F.C. Tucker Company. Move in ready. All appliances stay including washer/dryer. MLS#21627770. Sold By Hart. 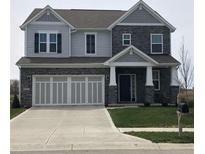 Four bedrooms PLUS loft PLUS main floor study/reading room.Custom backyard hardscape makes great use of the lot w/plenty of extra space for playtime or a playset.Tandem 3-car garage offers tons of storage! See you soon! MLS#21626559. F.C. Tucker Company.